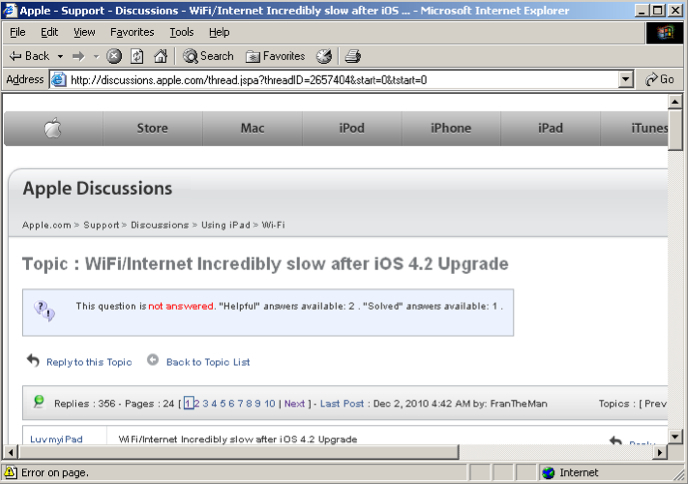 I â€“ like a ballooning number of other iOS 4.2 users â€“ as evidenced by this Apple Discussion Thread, seem to be having major slowdowns with WiFi browsing/download speeds with the newest update. This is eerily reminiscent of the original delay of the iOS 4.2 upgrade and the submission of the new OS Gold Master in early November. In the typical Apple â€œunmonitored discussion boardâ€ approach, rumours, explanations and fixes abound. Some threads claim itâ€™s the Safari browser at fault, claiming â€œâ€¦Perfect Browser (see app store) works 50 times faster and is at the speed I am used to seeing.â€ Other fixes claim resetting the â€œNetwork Settingsâ€ option coupled with a reboot of your router will rectify the problem. Iâ€™ve personally tried that particular fix and while I seem to get a short-term increased WiFi speed pick up it doesnâ€™t seem to stay â€œfixedâ€. A shame that I almost rely on switching over to my 3G network at home to get improved speeds when surfing the web and downloading. The challenge of course is with App Store updates being capped at 20 MB. Yes, I know â€“ I can always update via iTunes directly but that seems soâ€¦2009. 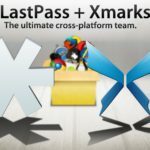 The discussion thread started Nov 22nd and in the following 10 days has garnered 24 pages worth of responses, tips, ticks and â€œsolutionsâ€ â€“ laid out in a numbing 356 separate responses. Tackle at your own risk! I firmly believe there is a problem, breadth of discussion board jabber not withstanding. And thatâ€™s all that matters with me. Perhaps the rumoured iOS 4.3 update (now pushed off until 2011?) may fix this issue? If in the meantime, YOU find a solution, email me would you?